If you are looking for a great service, rich breakfasts, and extra facilities like gyms and swimming pools, you should definitely stay in one Prague’s hotels. On the other hand, if you want to try something different and explore the city like a local, we recommend using Airbnb Prague or staying in one of the magnificent Prague apartments. There are more than 500 unique hotels in the city of Prague. Most of them offer great service in an exceptional location. Also, compared to other European metropolises, the prices are reasonable. 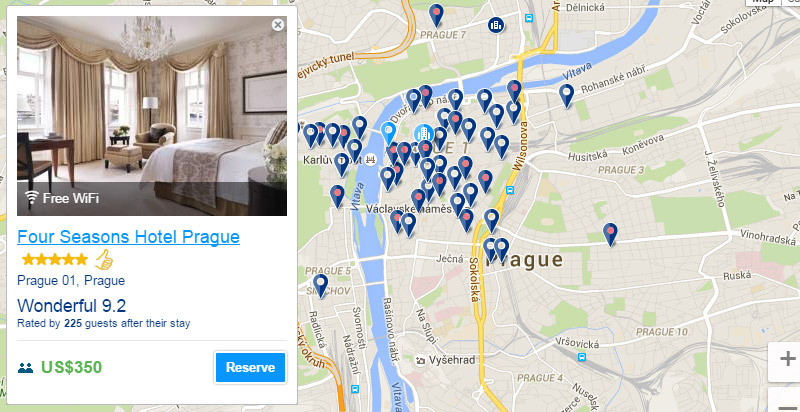 To make it easier for you we have created a hand-picked list of top 10 hotels in Prague. We focused on the most popular Prague districts right in the downtown area. We have considered the following factors during our research – location, price per night, reviews and design/feeling of the hotel room. 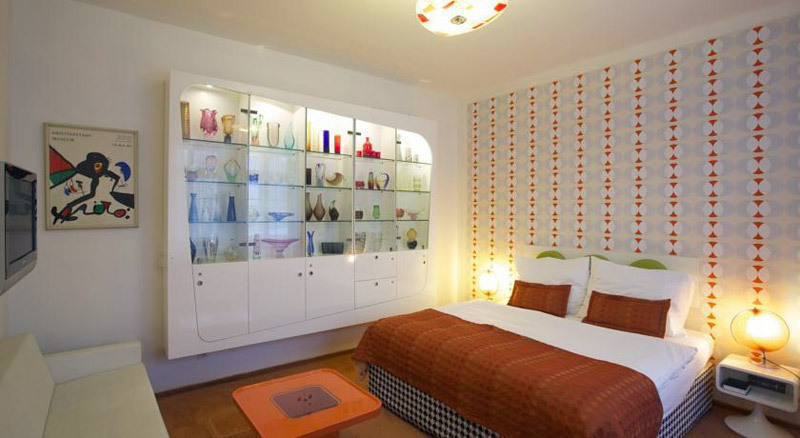 Renovated in 2015, Bishop’s House is a design hotel in the heart of the historical center of Prague, only 60 metres from Charles Bridge and the Vltava river and a 10-minute walk from Prague Castle. It offers free WiFi throughout the entire hotel. 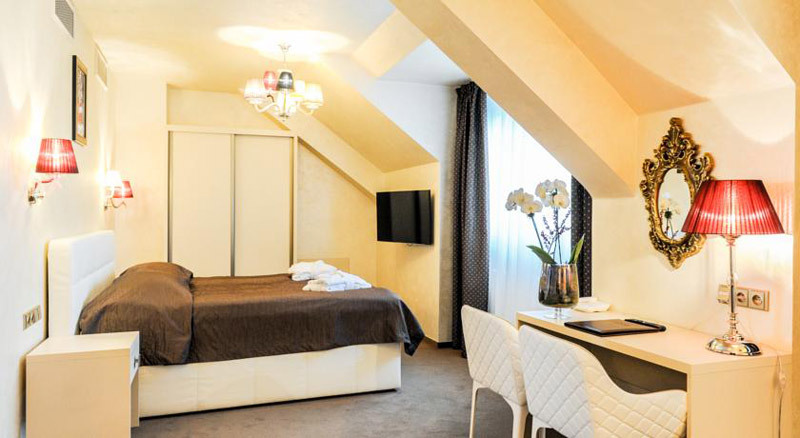 Built in 2013 in the center of Prague, within a 10-minute walk of the Old Town Square, the Charles Bridge or the Wenceslas Square, Hotel UNIC Prague includes a sit-down restaurant with a terrace and bar. Free Wi-Fi is provided throughout the entire building and private parking is available in an on-site garage at an exta charge. 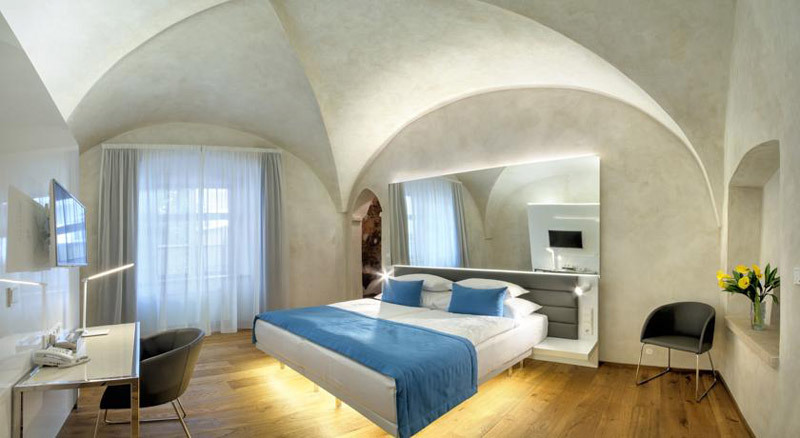 In Prague’s Lesser Town, the luxurious designer hotel Three Storks is in a historic building dating back to the 14th century, when it was home to a monastic brewery. Charles Bridge is just a 5 minute walk away. In the center of Prague, this historic building features a uniquely decorated lobby dating back to the early 20th century. Free Wi-Fi is available throughout the entire hotel. 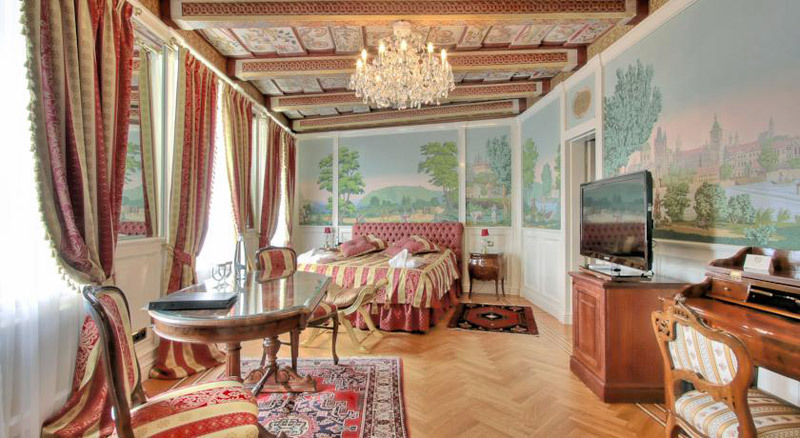 At the foot of Prague Castle (a quarter mile away) in the Mala Strana district, this historic building offers spacious rooms with hardwood floors, vaulted ceilings and luxurious furnishings. Free Wi-Fi is provided. Completely reconstructed in 2015 and set in the historic centre of Prague, Myo Hotel Mysterius is 200 m from the Namesti Republiky Metro Station. 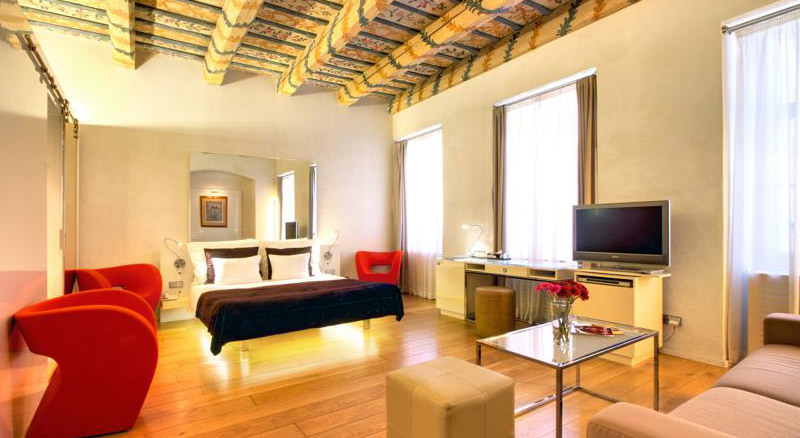 It features modern apartments with free WiFi, air-conditioning and scenic views. 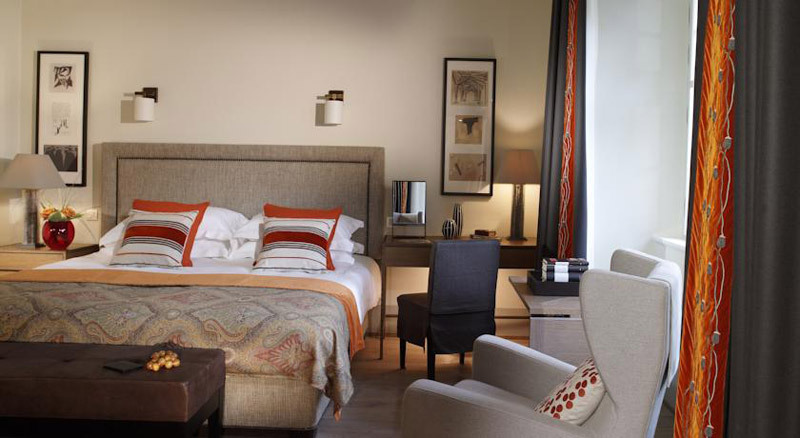 Providing luxurious accommodation in the heart of Prague, the Augustine Hotel is next to the Wallenstein Gardens. Charles Bridge and Prague Castle can be reached in a 5-minute walk. 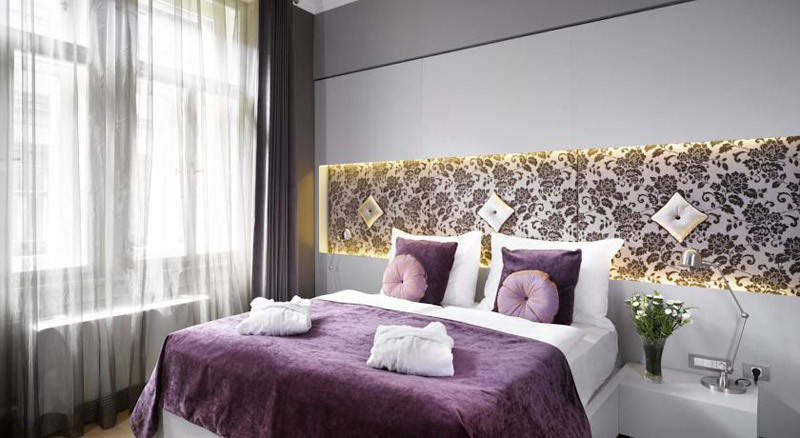 Just a 2-minute walk from Prague’s Wenceslas Square, The ICON Hotel & Lounge features the Planet Zen Asian massage center and the ROOM Tapas Bar. Free Wi-Fi is provided. 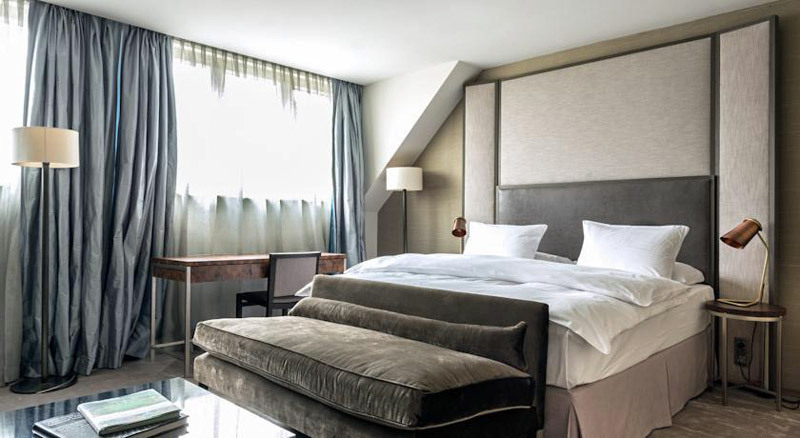 The Emblem Hotel is in a central location 293 m from Prague´s Old Town Square and features free Wi-Fi, a rooftop terrace with a panoramic view of Prague center and a 24-hour front desk. The Staromestska Metro and Tram Station is a 4-minute walk away. Situated in the historic city centre, right below Prague Castle, Hotel Sax offers free WiFi and rich buffet breakfast with cooked à la carte dishes. Every room has a laptop, a TV, a DVD player and 10 DVD titles.